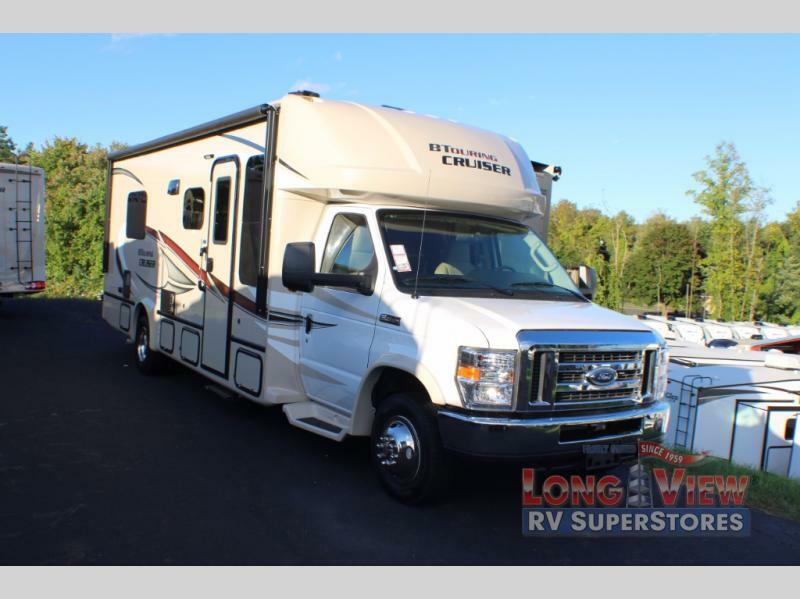 RV Sale: 3 RV Specials to Take a Look At! This is what you need to know about the model 5230: it comes with a single slide out that gives you ample space for your family, a rear bath that is perfect for long vacations (you won’t have to worry about campground bathrooms as much! 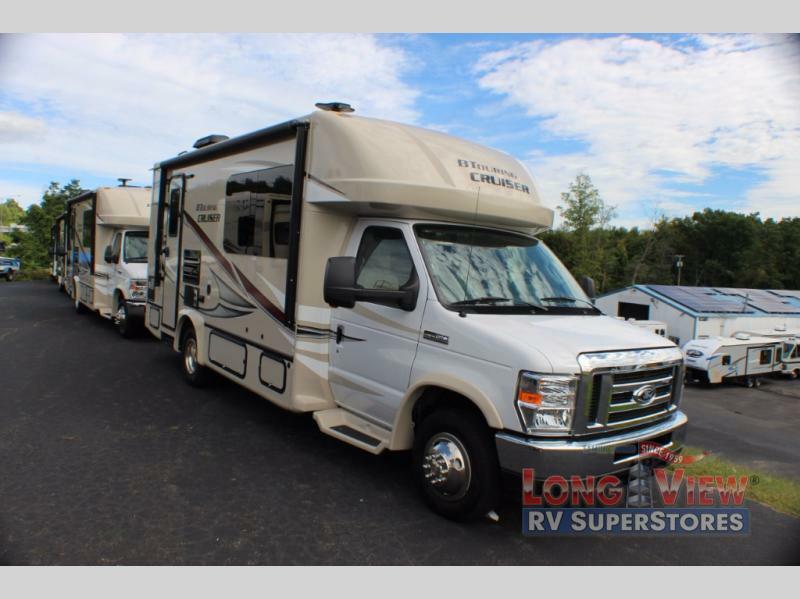 ), and dual Jack Knife sofas that are comfortable to hang out on and a great place to spend time with your family inside the motorhome… and those are just the main highlights of this specific model! 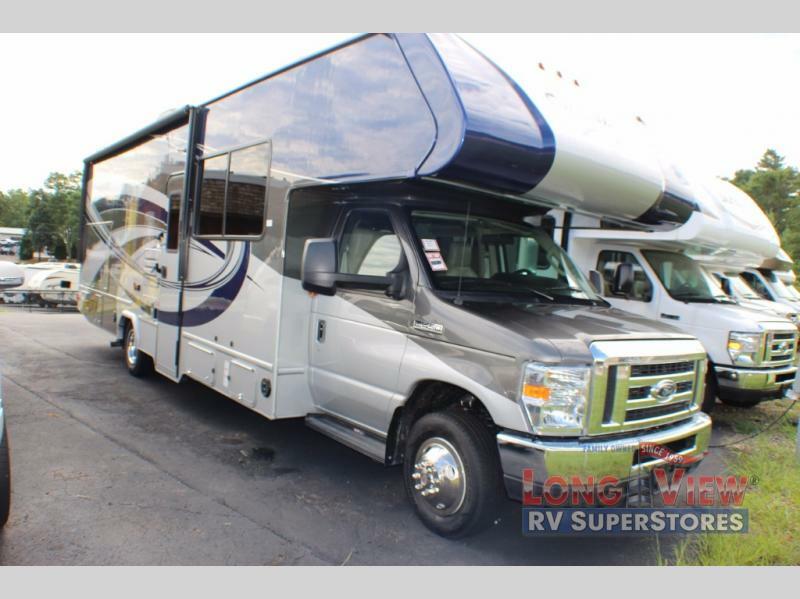 This BT Cruiser 5230 is loaded with great amenities you’ll find worthy of such a great RV sale. One of the larger differences between the models is that is features a pantry cupboard for food storage! There is a wardrobe on your immediate left for abundant clothing storage or bath linens. A TV mount can be found up above the cab area as well. Main highlights of this specific model? Can we say ALL of it?! With two twin beds, you’ll find it gives your family just the right amount of sleeping space and the right amount of comfortable living space, as well. Sometimes RVs can get crowded, but having the right amount of sleeping space is always a sure sign you’re getting just the right amount you’ll need. Not only that, but it also features overhead storage that is great for all of your camping necessities. This model also comes with a rear bathroom and a u-shaped dinette that transforms into extra sleeping space in the evening! And to finish off the highlighted features (although we could continue), you will get a 4.0kW Onan generator, an electric awning with LED lighting, as well as many other items to create the best camping experiences for you and your family and friends! And then there’s the Class C. If you’re wondering the difference between a Class B and a Class C, notice the difference in space and in luxury. Although the quality of the BT Cruiser Motorhomes are fantastic, you’ll be stepping into a whole other luxury game with the Class C.
It features two slide outs that provide you with a spacious comfort level that goes to the max and a walk through bath that gives you enough space to feel comfortable and homey in there. With a blow out sale we’re having, you won’t want to miss the deal you’ll be getting with an exterior entertainment center and all stainless steel appliances (see? comfort and luxury to the max!). There is even a small fridge and a sink with some counter space for storing some drinks and snacks, which is definitely a convenience throughout the day. You will also be able to sleep up to seven individuals. The jackknife sofa and the booth dinette both fold down into sleeping space and the kids will love having the bunk over the cab as an option! Hurry In For the Deals! If you have any questions about the amazing RV specials we’re holding or need any help selecting the right new RV for you, please contact us. We are always happy to help you find what you’re looking for, and with either a twin bed, two slideouts, or a TV mount, we know the decision might be tough! We wish you happy camping!